This weekend we are celebrating my grandmother's 90th birthday and this is the card I've created with much love for her. 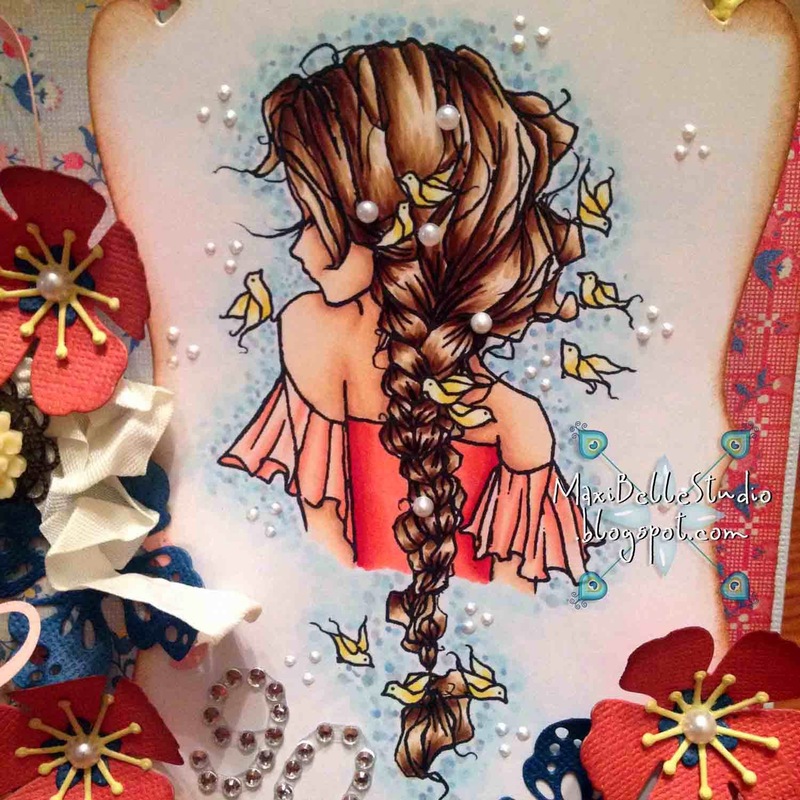 I've created this card as a center step fold card to showcase the stunning image 'Braid in my Hair' from A Day For Daisies which has been cut with Docrafts Xcut Rectangle Parenthesis #2. I've framed the center step with the Die-Versions Crochet Lace. Here is a closer look at the image. I've coloured with Copics and highlighted with both real and Liquid Pearls. 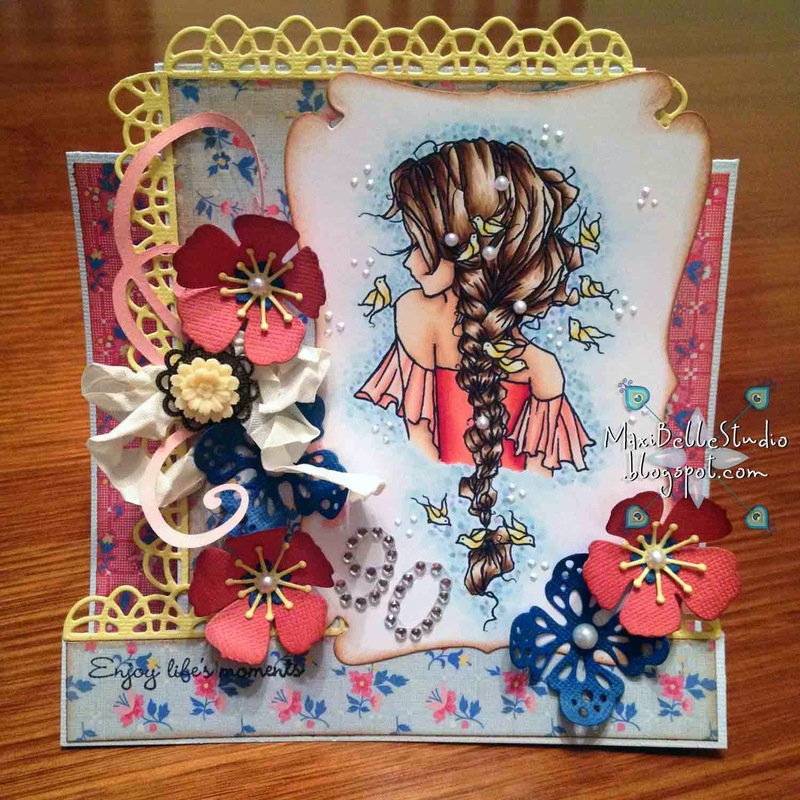 I've clustered the Memory Box Cherry Blossom and Magnolia Doohickey Doily Flower on top of the Magnolia Doohickey Swirl and added an antique brad with some seam binding ribbon. If you haven't already popped over to join in the fun of our Challenge Blog, the current theme is 'A Day at the Beach'! 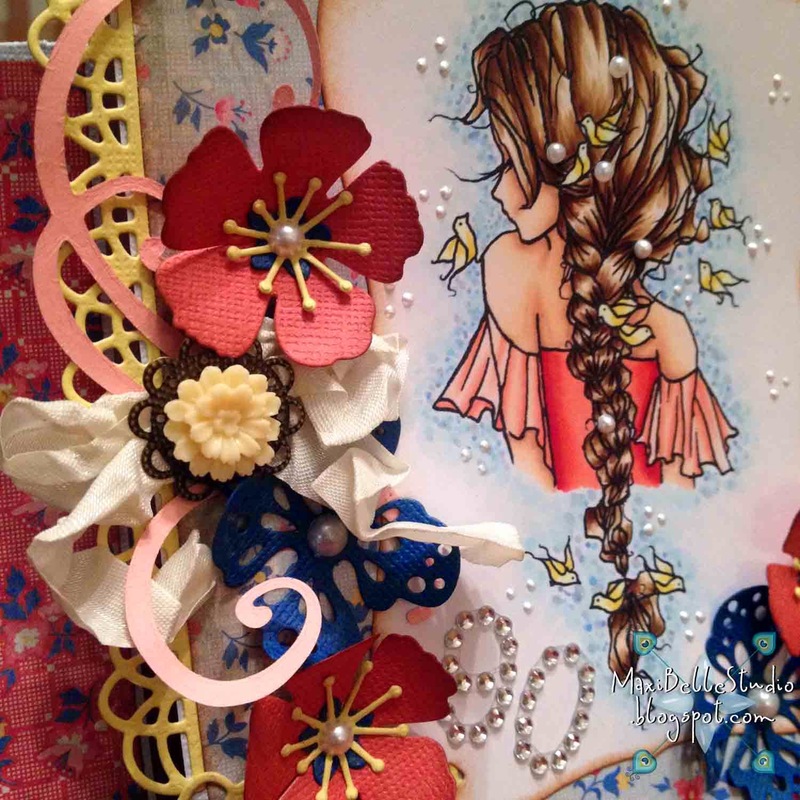 There are plenty of awesome DT creations from the talented Team A, and it is open until July 28. WOW! Happy Birthday to your Grandma! 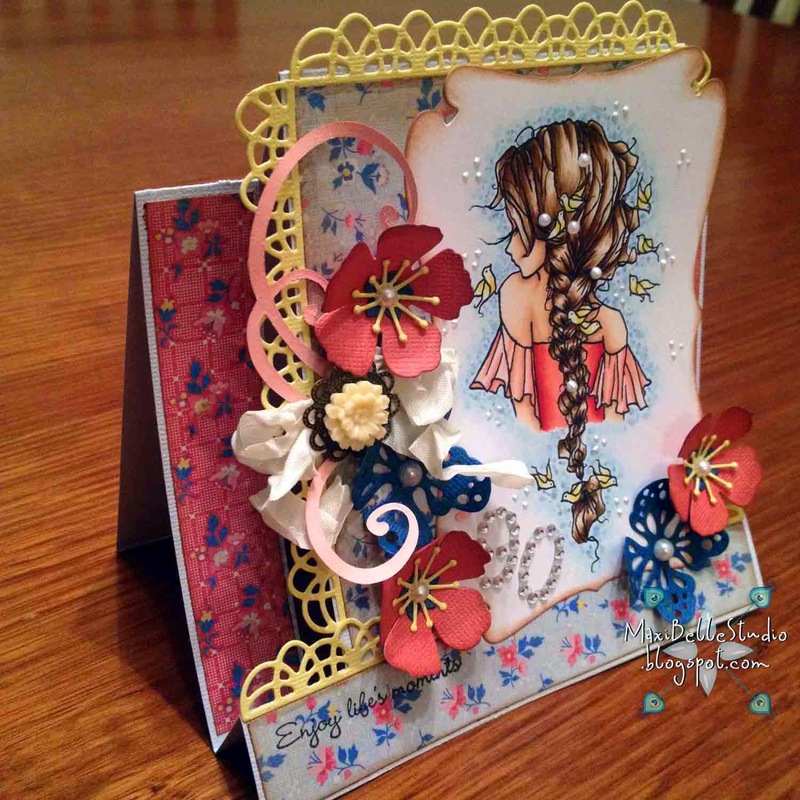 She'll love this beautifully colored and designed card without a doubt! Great job! This is just gorgeous! Your coloring (especially your hair) is awesome & I know your grandmother will treasure this & feel all the love you put into it!